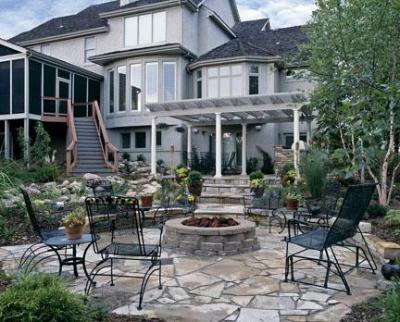 These days we’re seeing more and more homeowners building multiple outdoor living spaces into one environment. 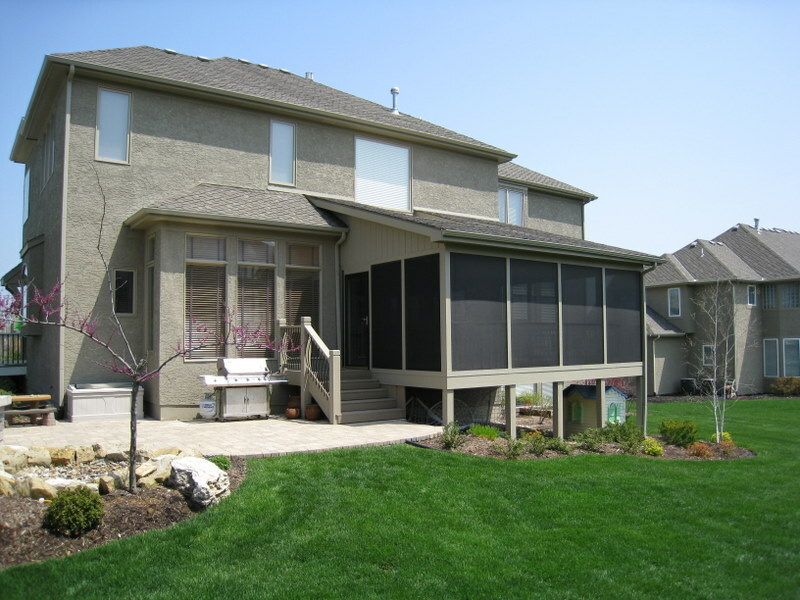 This often includes some combination of deck, patio and porch as the primary structures and often other structures such as pergolas are added in to complete an outdoor environment. As nice as this would be to build all at once, taking on this expense all at one time may not make sense from a budgetary perspective. Have you thought about building in phases or stages? If you look at the picture above, you will see an entire outdoor living environment complete with screen porch, elegant stairs, a pergola, a patio, a fire pit and a water feature. All of these elements blend seamlessly as if they were built all at once. In fact, these elements were built at different times. 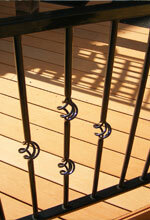 The back porch was the first thing we built for these homeowners. You’ll notice that the beautiful stairs with flared bottom are a perfect compliment to the patio. 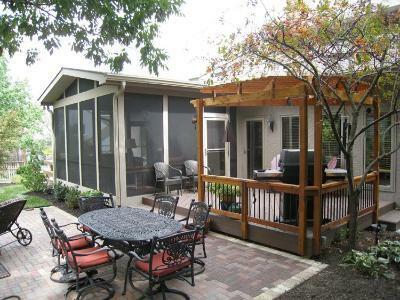 When we first built the screen porch years ago, the patio did not yet exist. But, it was part of the staged construction plan and thus the reason why we built the stairs as we did. The pergola was added in a second phase and the patio in yet another and yet they look like they were all built at one time. While it’s still fine to add on to projects in future years without having an original “grand plan”, there are some key considerations we take into account when planned growth is in the picture. 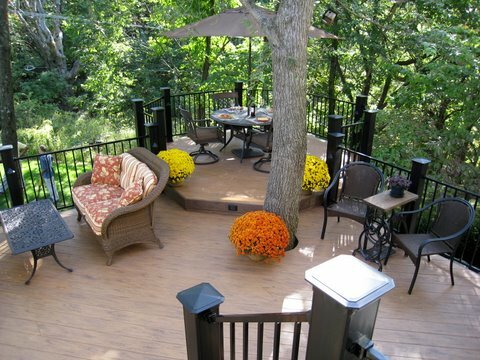 Many people will start with a deck with plans of adding a patio later. These structures compliment each other beautifully and having both creates multiple distinct living areas. 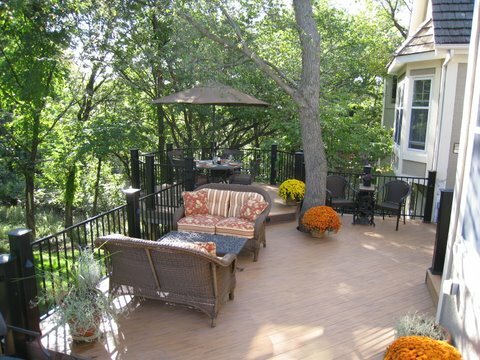 Some of the considerations we take into account knowing future plans of adding a patio are things like shape, access, traffic flow, how the stairs will transition from the deck to patio, and also the size, shape proportions of the patio. If you are thinking about adding a roof to your deck in the future, we need to consider the structural support that will be required for a future roof. 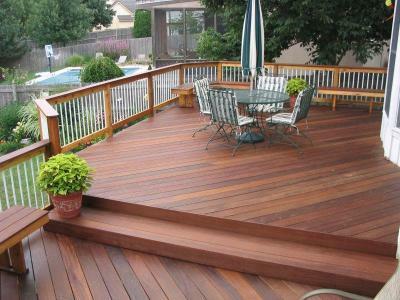 In addition, interesting deck shapes are not practical with roof structures so this helps determine the size and shape of the deck. 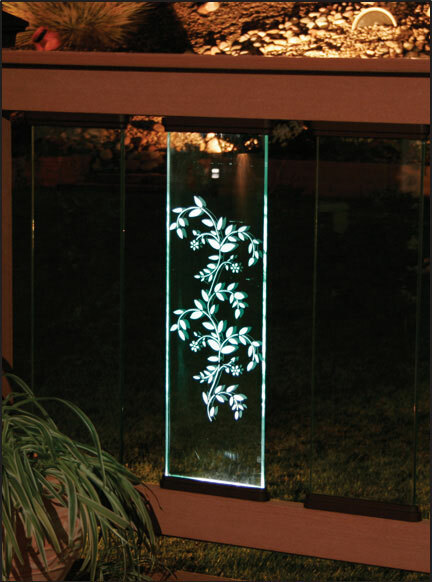 Screens and windows come in specific sizes that require particular column spacing and column layout. 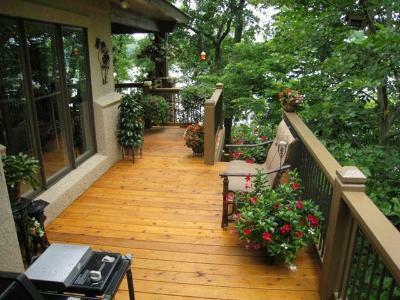 Knowing there are future plans of enclosing an open porch allow us to build the porch with room for growth. You may be planning to add an amenity such as a hot tub in the future. 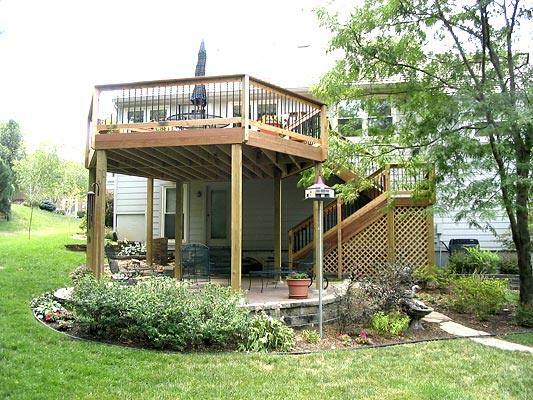 In this case, we would take spatial considerations and structural support into consideration when planning your new deck. So what happens if you decide at a later point to add on? Or, what if you planned to add on but never do? Any of these scenarios are fine but you can see from reading above that if you’re thinking about phased growth or future additions, it’s often best to take them into account while planning your initial project with us. Our consultation is completely free so give us a ring to discuss your project ideas (913) 851 – 3325 or email us at kansascity@archadeck.net. 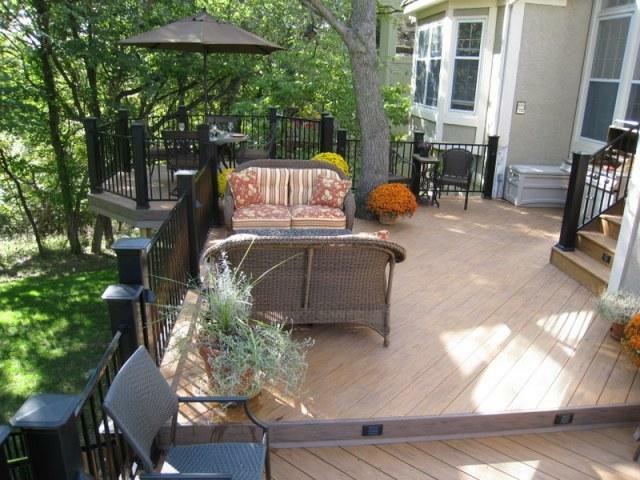 This entry was posted in Outdoor living environment and tagged Archadeck of Kansas City, Custom decks, custom screen porches, Kansas City deck with hot tub, Kansas City decks, Kansas City decks and patios, Kansas City patios, Kansas City porch builder, Kansas City screened porches, Kansas City spa deck, phased outdoor building Kansas, phased outdoor building Kansas City, phased outdoor building MO on March 20, 2012 by archadeckkansascity.